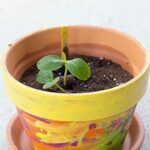 These resist handprint paintings are super easy to make and perfect for kids of all ages to make. An excellent Mother’s Day or Father’s Day gift too! 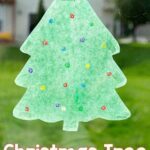 We aren’t super crafty around here, but whenever I do crafts with my kids I like it to be simple and doable for both kids. I also like it to be somewhat open-ended so they can have some control over the final product and it reflects their personal style and creativity. 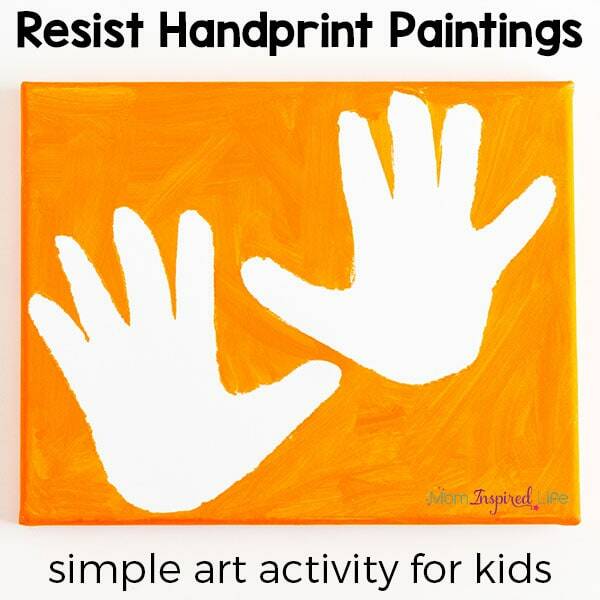 These resist handprint paintings check all of those boxes for me. My kids were free to use any colors they wanted in any way they wanted. On this particular day my son wasn’t too adventurous and chose to stick with one color, but he is already talking about making another one soon. I think that’s a great idea since their grandparents would probably love to have one as well. 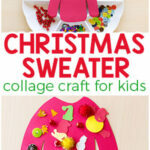 Speaking of which, this would be a great gift idea for Mother’s Day, Father’s Day or even Grandparent’s Day. You can do this with stretched canvas or canvas boards. 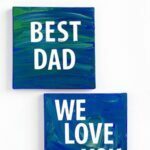 I used stretched canvas because I found some that were very affordable. 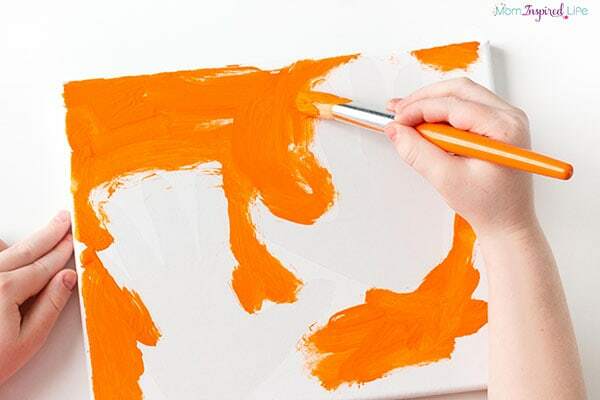 Once you have the canvases, you only need a couple other simple supplies. To begin I started by tracing both of my kids hands on the peel and stick adhesive film before peeling the backing off. 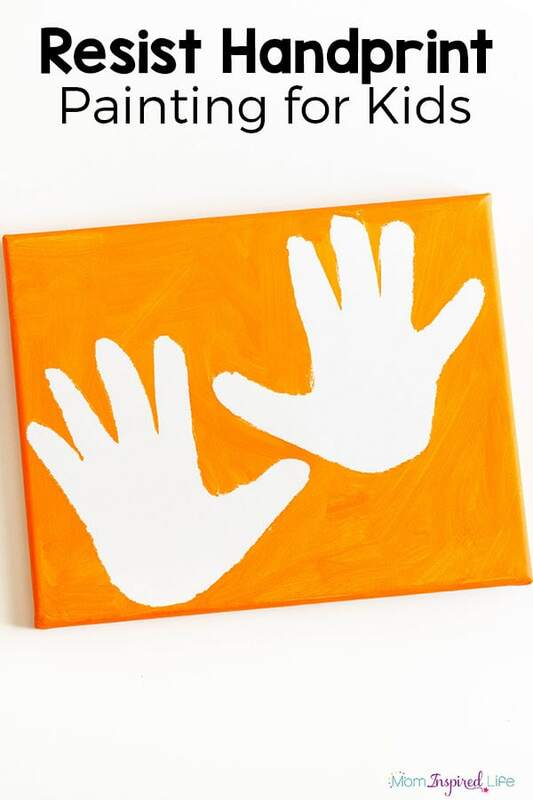 Then I cut their handprints out, peeled the backing off of them and stuck them down to the canvas. 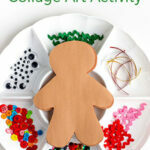 Then I got out the acrylic paint and let the kids choose which colors they wanted to use. I squirted a bit out for them, gave them a paintbrush and let them go to town painting all over the canvas. I did instruct them to not oversaturate the area around the contact paper hand because I was a bit worried about it seeping under the contact paper. 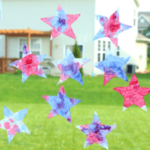 When my 3-year-old did this, she was very liberal with the paint and it did seep under. I did it over again a second time and that time I put a thin coat of Mod Podge® over the contact paper hands, let it dry and then had her paint it. It worked out much better that time. It probably depends on how sticky your contact paper is too. Mine wasn’t as sticky as usual. 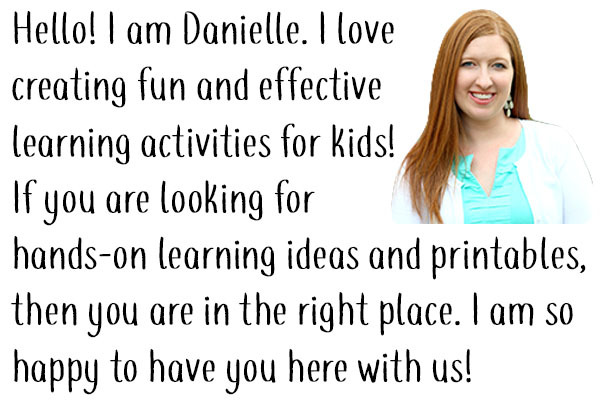 **I would recommend using a paint smock or clothes you don’t mind getting stained because the acrylic paint will stain clothing. After they were done cover the whole canvas with paint, I put them up to dry. I waited about a day to come back and peel up the contact paper. It came up pretty easily. Afterward, my son wrote his name and the date on the back of the canvas (on the wooden frame) with a permanent marker. I did this for my 3-year-old. The handprints looked great! I am so happy with the final product! We are going to hang them up in the playroom and I know they are going to look awesome up on the wall. 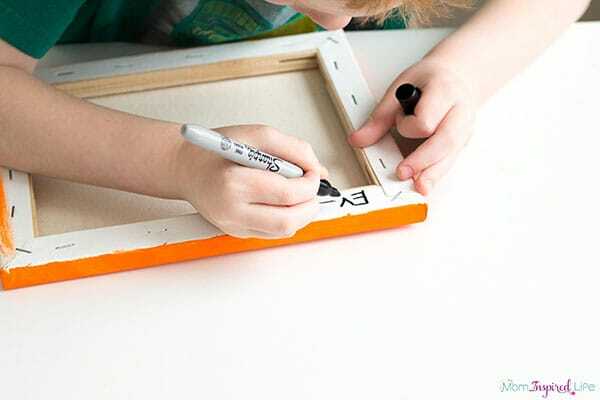 Write the name of the child and date on the back of their canvas. 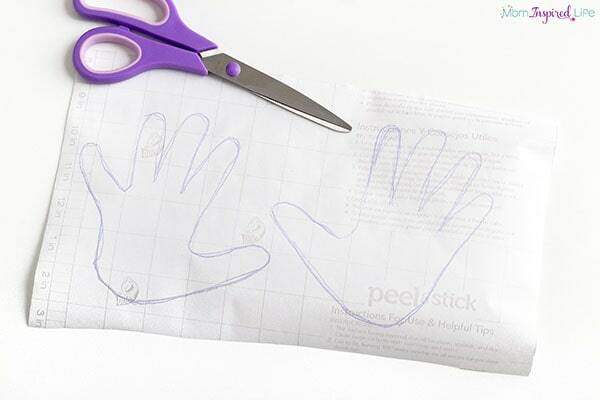 Cut out the hands and peel the backing off. Stick them down to the front of the canvas. 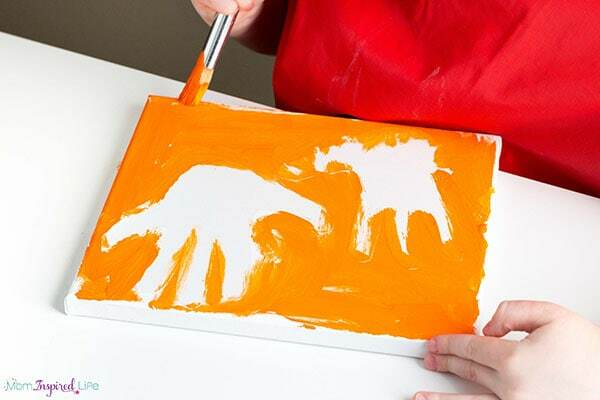 Give your kids a few squirts of acrylic paint to paint the canvas with. 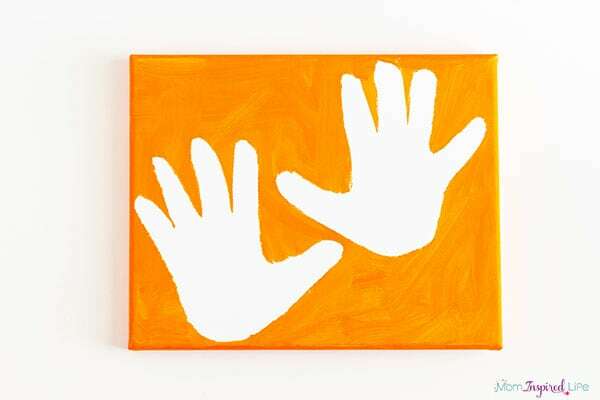 Instruct them to avoid putting too much paint around the edges of the handprint. Once the canvas is painted, let it dry for about a day. 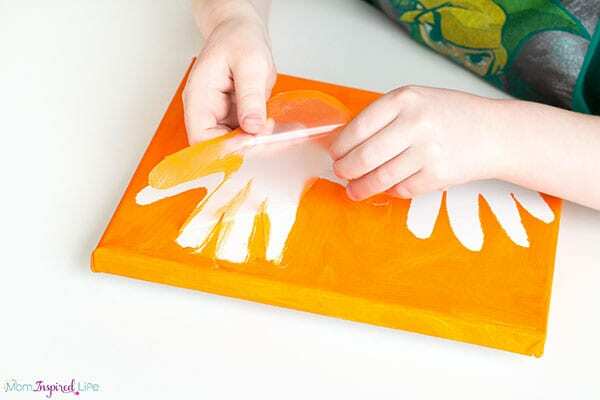 Peel up the adhesive film handprints. Enjoy looking back at those tiny hands as the years go by. I know we will cherish these forever!